Our Pricing, Service, Facility, Water Quality & Bottle Selection Are Second To None! Whether you need a monthly truckload of your private label retail product or just a few cases with your custom label, we will exceed your expectations. * Recurring Private Label / Co-Packing Orders – These private brands are typically sold in retail outlets, repeat commercial orders, and promotional distributors. We understand that reoccurring, promotional, and co-packing orders need a bit more hands-on attention and specific pricing based on order type. Our team will get back to you within 48 hours with pricing, delivery info, and to help facilitate your label design. This includes ASI/PPAI Distributors. 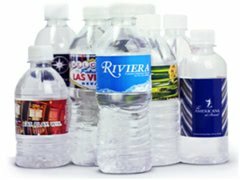 * One-Time Event Custom Label Orders – BottledEvents.com handles all of Riviera Beverages’ one-time orders for every occasion from corporate marketing to private events. For up-front information on pricing, bottles, shipping, and/or to place your order, please check the One-Time Event box to connect to BottledEvents.com. We look forward to exceeding your expectations! 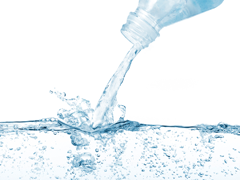 Riviera Beverages is a leading provider of custom bottled water throughout North America. 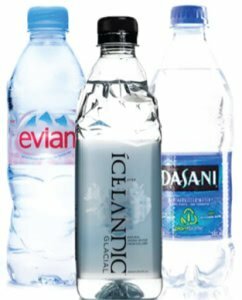 We make available a variety of shapes and sizes of bottles as well as a wide selection of water and water based beverages. To top it off, we provide a great selection of colored caps and packaging options with ‘direct to manufacturer’ pricing. We do it all in house! Bottles, label design, printing, filling, packing, and shipping. This direct access allows us to offer great pricing, fast turnaround, and exceptional customer service. Riviera Beverages is located in Southern California serving North America and overseas markets. 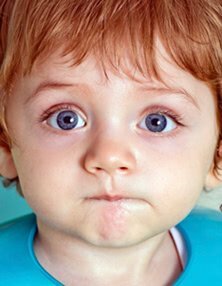 We have multiple high speed water bottling lines dedicated to producing your Proprietary Product as well as Purified, Spring, Mineral Enhanced, Vitamin Enhanced, Flavored, Alkaline, and De-Ionized Water. Our facility is FDA licensed and maintains superior manufacturing practices to insure consumer safety, great taste and unmatched quality. We offer direct-to-user pricing without any middlemen Our efficient operation provides fast turnaround and serves customers coast to coast in a wide variety of applications including Co-Packing, special events, and brand building uses of all types. Whether by the case, pallet, or truckload – our pricing, quality, and reliability lead the industry. 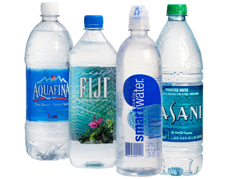 Riviera Beverages is your choice for Co-Packing, Private Label, Promotional and Custom Label bottled water. When you choose us, you’re choosing liquid awesomeness!